Please add to cart and upload your list at checkout. We will process your order EASY! You will also receive $120 voucher per family for tutoring, workshops packages, Parties and Homework help all year! We want to save you time and effort!! 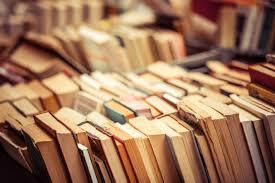 Upload your booklist and we’ll pick, pack and delivery your order and well PRICE MATCH YOUR SCHOOLS LISTED PRICE. How To Finalise Your Booklist Upload your booklist and ADD TO CART Follow the steps to checkout Checkout as No Payment is Necessary at this step Once you have sent us your booklist, we will upload the total to your account including any discounts. You will receive a call and a link to make payment online. NOTE: Due to a large variance “Back to School List” cannot guarantee all text books any discount excludes text books Please note all product may not be the same brand on your list however will be sent in equal or higher quality. LOST YOUR LIST? If you have lost your schools ‘Back to school list’ This is okay, ask us via email and we may have a copy for you! Is your schools list not pre loaded to our site? THATS OKAY Click below, add to cart and upload your list at checkout. We will process your order EASY! PLUS you receive $120 voucher per family for tutoring, workshops packages, Parties and Homework help all year!